Best wishes in your new life in Finland! We all need leaps of faith. Thank you for inspiration and information on your blog. When I was a child, I decided Finland was one of my favourite countries; though I never visited it, the idea of it was powerful, and we should trust our childish instincts. Congratulations and best wishes. Thank you for the interesting information on Odoevsky, Elisabeth. I just put him on my reading list. And the best of luck with your new life in Finland!!! Thank you, Dave, your well wishes are much appreciated. I’m sure you’ll find Odoevsky interesting. 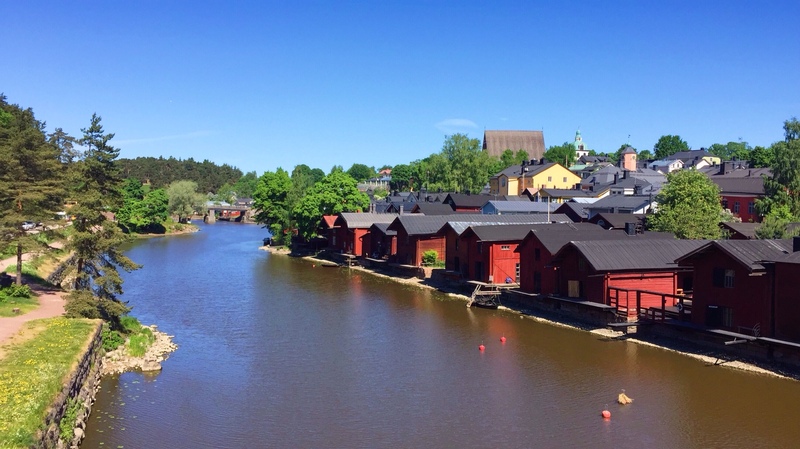 Good luck in Finland – what an adventure! I have read and loved a little Odoevsky, but I haven’t come across this title – I’m intrigued! This is a fascinating post. The way you put it together is itself fascinating. And admirable. It’s a good example, I believe, of how a writer can make a topic one would never expect to read about interesting. And “stitch together” various facts, literary works read, and source materials, while also bringing to bear the cultural aspect. Russia and Finland are so close, as you note, but it would have never occurred to me to think about the interchanges between the two peoples. 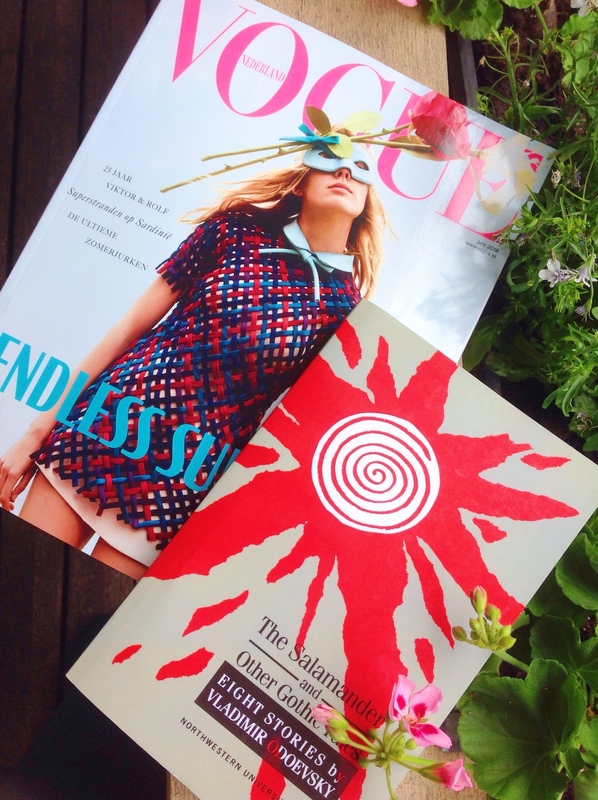 The sources you have used and drawn upon inspire, in me, curiosity and a desire to read more. I would love to be able to read the Kalevala in the original. “The North in Russian Romantic Literature” by Otto Boele. Sounds like a fascinating book. You sure found some interesting sources. Thank you, Fragile Books! I had heard his name, but really didn’t know anything about him. 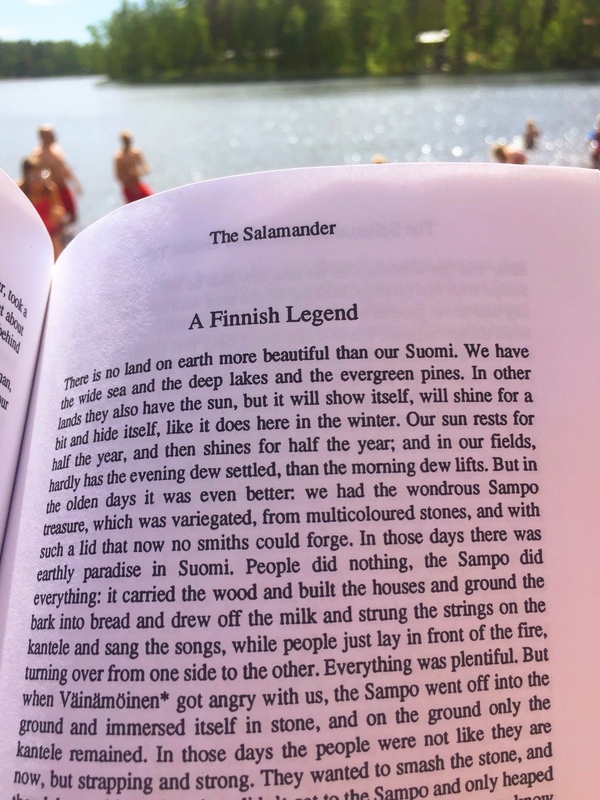 I wanted to write something about Finns in Russian literature and found out about the Salamander. I couldn’t find it online either, so I ordered it online. Now I’ve also ordered his biography and another set of stories. It’s always nice to make new discoveries 😊 Happy reading! Thank you, Roger, for your kindness and encouragement. It was Pushkin who sparked the idea, and after further investigation I came across Odoevsky. It seemed appropriate to write something about my new country and managed to translate that into a blogpost, which I’m glad to hear you found fascinating. The Kalevala is already difficult to read in English, I can only hope that one day my Finnish will be good enough to read it in the original. You’re welcome, Elisabeth. I am trying to read the Kalevala myself in English, thanks to you having reminded me of it the other day. There are old translations into English (i.e., published quite a while ago), one in particular that is supposedly very faithful to the original. There seem to be two English translations commercially available now: Francis Peabody Magoun’s and a recent one by Keith Bosley. I am inclined to read the Magoun translation. I’m not sure which I have, it’s an Oxford copy I think. Elisabeth — the Oxford edition is the Bodley translation, the most recent one. I took a look at the Bosley translation (Oxford UP) of the Kalevala on line. The Harvard University Press edition features an older translation by renowned linguist Francis Peabody Magroun, Jr. From a perusal of Bosley’s translation, it appears that it may be more faithful to the original. But Magoun’s translation is very clear and readable, and nothing is left out. Geography was never my strong point, so I had no idea Russia and Finland are actually neighbours (I thought they were just close by). Interesting too how the Finnish feature in Russian literature. Are you learning / already know Finnish too? I’ve heard it’s one of the hardest languages to learn! Hey Pistachio, I’m glad to hear you found it interesting. Yes, Finnish is a difficult language, completely different from their languages I know. I already know a little bit (my way around the supermarket 😉) and will need to take lessons. All the best for this new chapter in your life! I’m glad to have been of help 😉! A wonderful new adventure starts! I have not been to Finland yet but have wonderful Finnish friends. Really interesting, and Odoevsky doesn’t get enough attention these days. No, he’s completely overshadowed. His work is not on Tolstoy’s level, but only a very few author’s is. ich wünsche dir ein glückliches Leben in deiner neuen Heimat. Finnen sind wunderbare Menschen, offen, ehrlich .ich habe einen guten Freund,der hier in Oberbayern ein Ferienhaus hat..
Danke für deine lieben Wünsche, Sarah! Finnen sind wirklich wunderbare Menschen, und ich bin sehr glücklich hier in meiner schönen Heimat, endlich zusammen mit meinem Partner. How could I miss this post!!!! I am excited for you Elisabeth, for you have changed the trajectory of your life and have moved into a different place that offers new possibilities and opportunities. And I have the benefit of learning about Finnish literature and culture. I was in Helsinki several years ago and want to return. Looking forward to tagging along on your adventures. Thank you! Yes, it’s a new chapter in my life, and I couldn’t be happier. Interesting that you learned about Finnish literature and culture, Finland definitely has a lot to offer in that respect. I’m also enjoying Finnish literature, particularly Tove Jansson. So great to hear that you happy with that step you did. I feel a huge respect that you dared it… …and it turn out good. Finnland is a beautiful country with wonderful people. Everytime I was visiting Finnland I took something home with me that enriched my life. Wish you both a lll the best. Enjoy everything! So interesting to hear how the Finns are considered in russian literature. I didn’t knew that, but I knew from nowadays that the Russians love to travel to Finnland and enjoy its wonderful nature. I even met a woman from St. Petersburg who learned the Finnish language for a better communication with the Finns on her travels. Thank you, thank you, thank you! Yes, I’m more and more happy I finally took that step. You’re right, nowadays Russians like to visit their neighbours, also here in Porvoo. I don’t think there’s much prejudice anymore, luckily 😄 It’s always nice if people make an effort to learn the language of the country they like to visit. Exciting move! I hope you enjoy living in Finland. I’m here 4th year in a row and loving it. There are btw various events in Helsinki around Russian literature. Two years ago the annual book festival had Russian literature as a main topic and there were quite a lot of interesting discussions there. As for Odoevsky, unfortunately I’m not that familiar with most of his works. However, the childhood favourites of mine were his fairy tale stories “The Little Town in the Snuff-Box” and “The Little Black Hen”. I still remember amazing illustrations from the book and the stories were captivating. So far I’m enjoying living here a lot, and all is going well; I’m working now and going to Finnish class (thanks for the Finnish reading tips). And if you still love it here after four years, I’m sure I will too;-) Actually I went to the book fair when it had Russian literature as a topic, and I found it super interesting. I saw many writers there like Shishkin, Akunin and Ulitskaya. Those fairy tales sound good, must try to get my hands on them!